Exceptionally easy handling with ultra high grip and cornering stability. Superb control and optimum feedback. 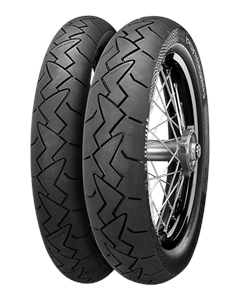 Excellent grip under all conditions, even in the wet and at low temperatures. Excellent mileage thanks to modern compound technology. Force directional tread pattern for optimum wear behavior and excellent water displacement. Optimized radial carcass design for good handling and high stability.